After executing the most stunningly successful terrorist attacks in its history on 9/11, al-Qaeda faced an existential threat in the American response it provoked. Al-Qaeda’s association with and support from the Taliban regime in Afghanistan gave it the space and security it needed to operate in a relatively open manner and plan an attack on the scale of 9/11, allowing it to effectively become the premier Sunni jihadist organization. But in addition to the base of operations and freedom of movement an official state sponsor gave it, al-Qaeda and its hierarchy were exposed to the same pressures any other state-supported organization is—in particular, the twin pressures of a loss of sponsorship and external invasion by a vastly superior military force. In the aftermath of the US intervention in Afghanistan, al-Qaeda traded the benefits of association with a state-based, Islamist regime for the benefits of existing as a stateless, underground organization relying on a global support network and operating in areas of minimal and contested state control. It decentralized and dispersed, establishing franchises and seeking to merge with or co-opt local jihadist groups, simultaneously increasing its global reach while giving local groups additional capabilities and the added credentials of the al-Qaeda “brand” of global jihad. While it continues to attempt its own attacks, al-Qaeda also inspires insurgent and independent jihadist action through a sophisticated propaganda campaign that reaches out directly to its audience. Despite the blow the US intervention in Afghanistan dealt to al-Qaeda’s operations in the country, the organization’s adaptive strategy allows it to continue to pursue its institutional goals of ejecting “imperialist” powers from the Middle East and reestablishing an Islamic caliphate from contested spaces throughout the world. There are five elements to al-Qaeda’s post-Afghanistan strategy: organizational dispersion, a shift to a franchise model, an emphasis on asymmetric insurgent warfare, the use of direct, multimedia propaganda, and the continued pursuit of a nuclear capability. Prior to 9/11, al-Qaeda was a fairly traditional, leadership-driven organization. A vague mission statement, requirements for membership, and a pledge of allegiance were all outlined in its founding document from August 1988, and the group’s structure developed over time as members were chosen to manage distinct functions, such as military or religious matters. By the summer before 9/11, it possessed multiple training facilities, a formal headquarters, recruiting centers around the world, and thousands of sworn members. Khalid Sheikh Mohammed proposed the plan for the 9/11 attacks to Osama bin Laden and received approval before moving forward, and the intelligence and counterintelligence activities required to pull off the attacks and keep them secret during the planning phase required a level of organization and institutional unity beyond a mere criminal network. Its development into a hierarchical, non-state entity is a natural consequence of the breakdown of the bipolar international order of the Cold War. During the Soviet war in Afghanistan, the mujahideen were fundamentally part of the Western bloc’s efforts against the Soviet Union, despite their personal ideologies and sense of Muslim fellowship. After the fall of the Soviet Union, former mujahideen and others involved in the Afghan jihad lost their state sponsorship and became independent non-state actors, and a group like al-Qaeda is an expression of such an independent political force with goals and strategies of its own. It had a territorial presence in Sudan and then Afghanistan, a leadership structure, and an institutional code of behavior—all elements of a hierarchical type of organization. While pressure from Pakistan forced the group to relocate to Sudan, al-Qaeda still had the relative freedom to operate as a traditional organization throughout the 1990s. When it in turn had to flee from Sudan, it continued to operate intact in Afghanistan, protected by a friendly Islamist regime. Unlike the expulsion from Sudan, the attention paid to al-Qaeda after the 9/11 attacks and the fervor with which it was pursued meant that the organization would find no equivalent safe haven when the US intervened in Afghanistan. The loss of training camps, bases of operation, and personnel hurt al-Qaeda’s ability to operate as a leadership-driven organization with a somewhat traditional structure. Its weakness as a paramilitary organization meant it could not resist the United States military or intelligence agencies with force, but that same weakness made it versatile enough to adapt to its enemy’s strengths and play to its weaknesses. US military strength is based on massing a large amount of concentrated power, while al-Qaeda has a small amount of highly dispersed power. The US military’s operations are expensive and funded by a public taxpayer system, whereas al-Qaeda’s transnational, pan-Islamic goals draw support from a global network, which, in addition to Osama bin Laden’s personal support, allows it to fund its relatively low-cost operations all over the world with less pressure from financial backers. Al-Qaeda compensated for its reduced capability to execute major attacks by seeking regional partners and inspiring independent cells with an affinity for al-Qaeda’s Salafist ideological stance to conduct operations themselves, such as the Jemaah Islamiyah cell that planned to recreate famous al-Qaeda attacks in Singapore. Lacking a safe haven and a sympathetic regime to provide it safety, al-Qaeda also burrowed itself into contested areas of low state control where its conventional, state-based enemies could not easily root them out, e.g. the Federally Administrated Tribal Areas and North-West Frontier Province of Pakistan, south Yemen, Iraq, Kashmir, and the Horn of Africa (al-Qaeda leaders are certainly aware that the Black Hawk Down fiasco in Somalia is still a part of the American public’s consciousness). As an institution in Taliban-controlled Afghanistan, al-Qaeda was vulnerable to the traditional military power of the invading American and NATO forces. Operating as several underground organizations throughout the world—driven by a common ideological stance and strategic goal, but only loosely commanded by a central leadership authority—mitigates the advantages of the conventional military power possessed by al-Qaeda’s enemies. The group’s versatility allowed it to adapt by quickly reforming its strategy and dispersing when US forces began pouring into Afghanistan. The establishment of al-Qaeda branches and partnerships with franchises throughout the world is a central tenet of its dispersion strategy. Many analyses of al-Qaeda’s (or of groups affiliated with it) organizational structure typify the group through one of two approaches: hierarchical or network-based. Neither approach adequately accounts for how al-Qaeda has managed to survive the US invasion of Afghanistan while simultaneously maintaining its ability to wage a truly global jihad against the West. Al-Qaeda has many arms, yet the central leadership does not play the primary role in coordinating their activities. Each group handles its own finances, but at the same time a dispersed, global system of financial channels including charity funds, Islamic banks, and informal “hawala” networks facilitates complex, obfuscated money transfers within the organization. The operational components of the organization are similarly dispersed. In some cases, as in Iraq, al-Qaeda cooperates with local jihadist groups possessing superior operational capabilities than al-Qaeda itself. Abu Musab al-Zarqawi’s Jama’at al-Tawhid wal-Jihad became al-Qaeda in Iraq (AQI), conducting the local jihad against American forces under the banner of al-Qaeda. In other cases, it merged with existing jihadist groups like the Algerian Groupe Salafiste pour la Predication et le Combat. Al-Qaeda in the Arabian Peninsula (AQAP) is a direct creation of al-Qaeda members and is so closely associated with its parent organization that Leah Farrall distinguishes it as a branch of Core al-Qaeda rather than a franchise. This complex structure of organization and operation, described as a “Dune type” of organization by Mishal and Rosenthal, are fairly distinct from other Islamist groups like Hamas or Hezbollah. As a decentralized, nimble organization with disparate arms in multiple conflict zones, al-Qaeda can afford to bring its jihad to locales spanning the entire Middle East and beyond, forcing its cumbersome, state-based enemies to respond throughout the world and work with a variety of governments (often corrupt or unpopular) to varying degrees of success. This strategy is in contrast to al-Qaeda’s previous attempts to build a global jihadist organization, with the only successful example (albeit a tepid one) being a merger with Ayman al-Zawahiri’s Egyptian Islamic Jihad. Before 9/11 and the invasion of Afghanistan, Osama bin Laden sought to build the strength of al-Qaeda by forcibly absorbing other groups, but faced resistance from jihadist leaders who had their own, local goals. By launching a spectacular attack against a seemingly-impregnable enemy and establishing a coherent ideological framework for its activities, bin Laden hoped to rally other jihadist groups to al-Qaeda’s cause through inspiration. The United States’ overwhelming response to the 9/11 attacks was of great propaganda value, and its subsequent invasion of Iraq served only to seemingly confirm bin Laden’s analysis of Western intentions for the Muslim world to his audience. The dispersion strategy has led to mixed results. On one hand, the central leadership does not retain traditional command and control of the organizations that choose to associate with it, and even the closely-related al-Qaeda in the Arabian Peninsula has had minor disputes with the core organization. This lack of perfect control raises the risk of franchises damaging the al-Qaeda brand through unsanctioned actions or statements, or creating the perception of a weakened al-Qaeda by publicly disagreeing with the parent organization. The fact that al-Qaeda chooses its mergers carefully is an indication that it recognizes the danger that differences between strategic visions and tactics presents. Al-Qaeda in Iraq’s engagement in sectarian violence and premature declaration of a Muslim state, for example, were done without Core al-Qaeda’s approval. The use of mass violence against other Muslims damages the recruitment value of al-Qaeda’s ideological narrative and reduces the effectiveness of its anti-Western/anti-imperialist propaganda. This tension between local interests and goals and al-Qaeda’s transnational Islamist ideology is not easily overcome, even after al-Qaeda’s display of operational prowess in 9/11 and the invasion of Afghanistan, but such tensions alone have not threatened the viability of the dispersion strategy. After all, al-Qaeda does not call for local groups like AQI and Jemaah Islamiyah to wholly abandon their own narrow agendas, but simply to expand their focus to include the “far” enemies of Islam, particularly the United States and Israel. These local and global agendas do not always conflict, but the lack of cooperation between al-Qaeda and its franchises when they do is a consequence of organizational dispersion. Despite the friction between al-Qaeda and some of its franchises, the dispersion strategy adopted after its flight from Afghanistan gave the group the flexibility required to survive a global war of attrition with the US and other Western governments. The success of al-Qaeda’s transformation is evident by its continued ability to operate effectively on multiple fronts after the killing of Osama bin Laden in May 2011, due in part to the delegation of management duties to the organization’s secondary tier of leadership. This is in stark contrast to al-Qaeda’s earlier years, when both bin Laden’s funding and personal charisma were necessary to recruit members and maintain the unity of purpose amongst jihadists identifying with the organization. Bin Laden was previously al-Qaeda’s primary strength, and the group’s ideology (or lack thereof) was its weak point. After Afghanistan, al-Qaeda’s coherent, pan-Islamic ideology became its main strength and the primary driver of attracting local jihadists to its cause. The organization continues to operate, franchises continue to cooperate, and attacks continue to be planned and attempted despite the constant loss of personnel and leadership in drone strikes—and the loss of bin Laden in particular—because the institutional goals of the jihad now guides al-Qaeda’s work instead of a personality or a structural leadership element. Where a corporate, hierarchical model could be applied to al-Qaeda previously (albeit not perfectly), the franchise model better explains its nebulous structure today. In this sense, dispersion and adopting franchises to maintain and expand its operational capabilities has been a stunning success for the group, which otherwise might have been destroyed in detail in Afghanistan and Pakistan after the US intervention. The form of conflict al-Qaeda has chosen to engage in after the US invasion of Afghanistan is also an important part of why it has persevered. In a study of the writings of al-Qaeda military leader Sayf al-Adel, Jordanian analyst Bassam al-Baddarin posits that the group’s grand strategy involved drawing the United States into a regional war of attrition by executing an attack that would cause an immediate and swift response in the form of an invasion. According to this view, al-Qaeda launched 9/11 with the foreknowledge that the US would intervene in Afghanistan and thus provide the environment necessary for a regional jihadist war, ruin the American economy through extended military action, and rally Muslims to al-Qaeda’s cause. In reality, it is unlikely that such a strategy predated the 9/11 attacks, but was instead a response to the invasion of Afghanistan when the opportunity was recognized and exploited by a highly-adaptable al-Qaeda. The global scope of its asymmetric war has been touted by well-known jihadi forum user “Asad al-Jihad2” (believed to be al-Qaeda member Muhammad Khalil al-Hakaima), who identified Palestine, Iraq, the Arabian Peninsula, Afghanistan, Pakistan, the Maghreb region, and the African Horn as the group’s “battlefronts”. As early as October 2002, Zawahiri mentioned the destruction of the American economy as a goal for the group. AQAP’s English-language Inspire magazine touted the “death by a thousand cuts” al-Qaeda promised to inflict on the United States, using comparatively low-cost attacks to cause disproportionately high damage to its economy. Bin Laden long believed this to be the key to defeating America, and his tactical vision has endured beyond his death. As bin Laden’s successor, Zawahiri encouraged independent jihadists not associated with al-Qaeda to engage in similar attacks, praising “lone wolf” extremists such as Mohammed Bouyeri and Fort Hood shooter Nidal Malik Hasan. Al-Qaeda’s strategy attempts to inspire Muslims to seek collective revenge for US actions through individual acts of jihad, presenting an amorphous and global threat that is difficult for intelligence services to identify or protect against. Long before 9/11, bin Laden declared there was a duty to commit to individual jihad against the United States, a message that has been skillfully rebroadcast and emphasized after every negative development in Iraq and Afghanistan, such as civilian deaths or the revelation of atrocities by individual military servicemembers or units. After 9/11 and Afghanistan, al-Qaeda had the credibility and ideological narrative necessary to instigate the worldwide asymmetric conflict it previously failed to inspire. While terror attacks are the most-discussed activity of al-Qaeda, they are not the only tools in al-Qaeda’s post-Afghanistan arsenal. Causing panic and economic instability through fear is but one aspect of its asymmetric attritional war. The swift American response to 9/11 presented an opportunity to bog the Western power’s superior military down in Afghanistan as the mujahideen did for the Soviet military in the 1980s. The subsequent 2003 invasion of Iraq only reinforced al-Qaeda’s ideological proposition that the Muslim world was fighting a defensive jihad against an imperialistic, anti-Islamic United States. With its myriad of partnerships and franchises, al-Qaeda is able to wage low-level, guerrilla-style wars against the US and its allies, which incur high economic costs on states with superior but expensive conventional military forces. Guerrilla warfare and widespread violence undermines state authority and saps support for military operations in enemy populations. Al-Qaeda’s global reach gives it a diverse membership, yet one that is unified by the group’s Islamic nature and the common purpose of its strategic goal: overthrowing the incumbent international system. Its wide-reaching support system allows it elevate asymmetric insurgency to an international scale. The global jihad seeks to change the world’s political order, not simply change the status quo in one region or country. With this international scale of operations—required by its strategic goals and enabled by its franchise model—al-Qaeda can challenge the legitimacy of Western authority anywhere in the Muslim world. The invasion of Iraq presented a particularly timely opportunity to promote and conduct a transnational jihadist struggle against an aggressive United States. Foreign fighters poured into Iraq initially, and al-Qaeda decided to partner with Zarqawi’s group, the future al-Qaeda in Iraq, because it had the better organization and superior capability to wage a jihadist struggle within the country. But Iraq is a prime example of a weakness in al-Qaeda’s dispersion strategy as well. The popularity of al-Qaeda in Iraq (and, separately, al-Qaeda in Saudi Arabia) plummeted after large-scale suicide attacks that killed fellow Muslims. In his July 2005 letter to Zarqawi, al-Qaeda’s then-deputy Zawahiri said that “popular support for the mujahedeen” depended on rallying “against an outside occupying enemy, especially if the enemy is firstly Jewish, and secondly American”. Zawahiri further questions the wisdom of engaging in a conflict with the Shia population of Iraq, and notes that victory for al-Qaeda meant the establishment of a Muslim state “in the manner of the Prophet in the heart of the Islamic world,” which meant working with Muslims of “all ideological and theological stripes” and not focusing on sectarian violence. Despite this, AQI continued to wage a sectarian war in an attempt to ignite the tensions between Iraqi Sunnis and Shias. Furthermore, the premature declaration of an Islamic State in Iraq was made without the approval of al-Qaeda leadership. The same nimbleness that allowed al-Qaeda to survive the US invasion of Afghanistan through dispersal made it too weak to fully control the activities of a defiant franchise, a vulnerability that should theoretically have been mitigated by recognition of al-Qaeda’s authority as the vanguard of a global jihad. But parochial interests, such as Sunni jihadists wanting to wage a sectarian conflict against Shia Muslims, could not be completely replaced by the larger, pan-Islamic goal of global jihad against the West, even in a situation as ideal as the invasive US presence in Iraq. Zawahiri’s letter makes clear that al-Qaeda wished first and foremost to rally the Muslim world to its cause, drawing in the foreign enemy (while he names Jews first, he undoubtedly means the United States) to fight on Muslim lands where al-Qaeda would serve as the elite vanguard on fronts like Afghanistan, Pakistan, and Iraq. The fact that AQI did not conform to this strategy reflects the inherent tension in the command dynamic that exists between al-Qaeda and its franchises. Personal relationships and respect for al-Qaeda as an organization are the most important variables affecting its ability to command its carefully-chosen franchises. The cyclical reputation of al-Qaeda after 9/11 highlights the necessity of maintaining relevance through continuous attacks, victories that can be exploited for positive propaganda purposes, and media presence. While it cannot perfectly control franchises, the group has tried to maintain its reputation through the success of its AQAP branch. Al-Qaeda in the Arabian Peninsula is a case study in the parent organization’s successful execution of insurgent warfare and direct propaganda. Whereas the franchises are largely reactive in their operations, the AQAP branch has taken an active role in leading a Sunni uprising in Yemen and learned from the mistakes of its associate groups. AQI’s declaration of an Islamic state was of little ideological value and contributed almost nothing to its legitimacy, which suffered greatly due to its wanton use of violence against other Muslims. AQAP used Islamic doctrine to justify its acts of violence, established sharia (law) and dawa (proselytizing) committees, and made efforts to minimize civilian casualties. President Saleh’s loss of legitimacy, a consequence of the evolving Arab Spring movement, made Yemen a fertile ground for a jihadist front, much like Afghanistan, Pakistan’s loosely-governed tribal areas, or Iraq. In many ways, AQAP faces a similar environment in Yemen that AQI does in Iraq: counterterrorism collaboration between the US and Yemeni government prior to the uprisings against Saleh was very strong, the government does not retain control over large swathes of territory, and AQAP competes with other non-state actors like Zaidi Shia rebels in the north. In its media efforts, AQAP presents the problems of Yemen as externally-sourced ones, caused primarily by the United States and the creeping influence of non-Islamic, Western culture. In issues of Sada al-Malahim, its e-magazine, the group blasts western oil companies for extracting Yemen’s wealth, portrays the Yemeni government as a puppet of foreign aggressors, and emphasizes solidarity between the Yemeni people and other oppressed Muslims and Arabs. With its knowledge of local culture and customs, AQAP can tailor specific messages to targeted segments of its Yemeni audience, such as poems rendered in the colloquial Yemeni dialect to appeal to tribes. This sophisticated media effort, using their own platforms of communication to directly reach their audience and control their message, reflects both the evolution of al-Qaeda propaganda from the 9/11 attacks to the present and its desire to be acknowledged as the premier jihadist organization in the Muslim world. AQAP’s efforts have culminated in the successful capture of territory by early 2012, including seven population centers in southern Yemen. Al-Qaeda’s ideology and its propaganda activities enable its post-Afghanistan dispersion strategy to work. In order to maintain a coherent jihadist movement in locales as diverse as Somalia, Pakistan, and Yemen, the group must be able to rally supporters for a common cause and exploit opportunities for recruitment that arise, such as drone strikes that kill civilians, the invasion of Iraq on a weak pretext, or repression from US-backed national leaders. Its failure to rally others prior to 9/11 reflects the primacy of local concerns to jihadist groups, which were unwilling to cede power and authority to Osama bin Laden for an idealistic anti-Western cause. 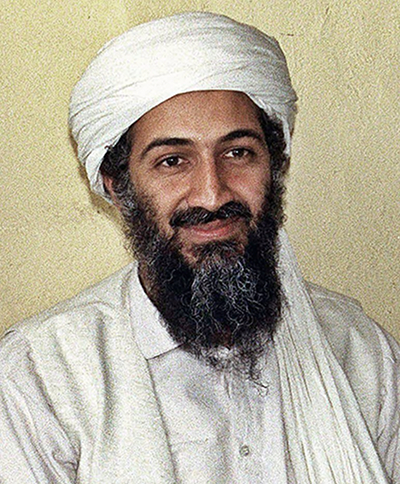 The 9/11 attacks and invasion of Afghanistan changed the international environment by causing an expansion in American interest and involvement in the Middle East, and the US invasion of Iraq seemingly confirmed the veracity of the ideological framework bin Laden operated under, which saw the US and other Western nations as aggressive crusaders bent on controlling the Middle East through puppet governments because of the region’s oil wealth. This message was delivered to its audience through a sophisticated, multimedia propaganda machine that utilized the internet and other channels of mass outreach, providing the sympathy and recruitment that is vital for a widely-dispersed organization like al-Qaeda to subsist. Through personal messages from Osama bin Laden and carefully-timed media appearances, al-Qaeda defined the anti-Western jihadist narrative even to Western media outlets, which framed all Islamist activity and attempted terror attacks as part of a larger, al-Qaeda-led struggle, reinforcing the group’s legitimacy and credibility. Al-Qaeda also benefits from the asymmetric standards of conduct between it and its state-based enemies; it could exploit scandals like torture and prisoner abuse at Abu Ghraib and Guantanamo Bay—aberrant actions inconsistent with Western values—for their full propaganda and recruitment value, while justifying its own acts of violence with its ideological narrative of jihad, retaliation for Western aggression, and resistance to imperialism. In his “Letter to the American People,” bin Laden admonishes the United States for having used a nuclear bomb on Japan (claiming, in this instance, that the empire was ready to surrender), even while actively seeking to make a similar nuclear attack against America. While calling the former a heinous and evil act, he justifies the latter as a necessary duty to protect the Muslim world from an aggressive, imperialist state. Acquiring [nuclear] weapons for the defense of Muslims is a religious duty. If I have indeed acquired these weapons, then I thank God for enabling me to do so. And if I seek to acquire these weapons, I am carrying out a duty. It would be a sin for Muslims not to try to possess the weapons that would prevent the infidels from inflicting harm on Muslims. This pursuit continues after the invasion of Afghanistan because al-Qaeda recognizes the strategic value of a Muslim nuclear weapon. Bin Laden cited the American nuclear bombing of Hiroshima and Nagasaki as an inspiration, for he wished to force the United States to alter its foreign policy as President Truman forced Imperial Japan to surrender. In 2005, Zawahiri established the “Liberation of the Homelands” as one of the three foundations of al-Qaeda’s political ideology, but said the Muslim world was “impotent and exposed to the Israeli nuclear arsenal,” necessitating a balance of means. It is clear that the al-Qaeda of 2001 is not the same al-Qaeda of today. While its institutional goals have remained constant since their full development, the means with which it attempts to fulfill them have changed by necessity. The invasion of Afghanistan marked the end of al-Qaeda’s hierarchical, leadership-driven era, and could very well have marked the end of the organization itself had it not adapted to its enemy’s use of overwhelming military force and counterterrorist tactics to transform itself into a nimble, dispersed entity guided by an ideological framework and united by purpose rather than Osama bin Laden’s personality. The killing of bin Laden in 2011 was a symbolic blow for the organization he founded, but al-Qaeda has continued to operate on multiple fronts and the leadership role has passed in an orderly fashion to Zawahiri. While some arms flounder, such as AQI and its largely ineffectual resistance in Iraq today, others have proved stunningly successful in waging asymmetric insurgent warfare, such as AQAP in southern Yemen. Core al-Qaeda shed the hierarchical structure that found a home in Taliban-controlled Afghanistan for a dispersed model of franchises and branches supported by a global finance and propaganda network, giving it the funding it needs to continue to plan and attempt terrorist attacks, conduct an asymmetric, international insurgency, and inspire independent jihadists and jihadist groups to take up al-Qaeda’s cause. The al-Qaeda of 2001 could potentially have been military destroyed, but today it has ensured that no use of force can possibly stamp out every element of its nebulous structure, and that only a loss of ideological legitimacy can bring about its conclusive end. Bergen, Peter, and Paul Cruickshank. “Revisiting the Early Al Qaeda: An Updated Account of Its Formative Years.” Studies in Conflict & Terrorism 31.1 (2012): 1-36. Blanchard, Christopher M. Al Qaeda: Statements and Evolving Ideology. Rep. no. RL32759. Congressional Research Service, 2007. Farrall, Leah. “How Al Qaeada Works.” Foreign Affairs 90.2 (2011): 128-38. Fishel, Kimbra L. “Challenging the Hegemon: Al Qaeda’s Elevation of Asymmetric Insurgent Warfare Onto the Global Arena.” Low Intensity Conflict & Law Enforcement 11.2-3 (2002): 285-98. Hoffman, Bruce. “Al Qaeda, Trends in Terrorism, and Future Potentialities: An Assessment.” Studies in Conflict & Terrorism 26.6 (2003): 429-42. Hoffman, Bruce. “The Changing Face of Al Qaeda and the Global War on Terrorism.” Studies in Conflict & Terrorism 27.6 (2004): 549-60. Ilardi, Gaetano Joe. “The 9/11 Attacks—A Study of Al Qaeda’s Use of Intelligence and Counterintelligence.” Studies in Conflict & Terrorism 32.3 (2009): 171-87. McCants, William. “Al Qaeda’s Challenge.” Foreign Affairs 90.5 (2011): 20-32. Mendelsohn, Barak. “Al-Qaeda’s Franchising Strategy.” Survival 53.3 (2011): 29-50. Mishal, Shaul, and Maoz Rosenthal. “Al Qaeda as a Dune Organization: Toward a Typology of Islamic Terrorist Organizations.” Studies in Conflict & Terrorism 28.4 (2005): 275-93. Page, Michael, Lara Challita, and Alistair Harris. “Al Qaeda in the Arabian Peninsula: Framing Narratives and Prescriptions.” Terrorism and Political Violence 23.2 (2011): 150-72. Payne, Kenneth. “Building the Base: Al Qaeda’s Focoist Strategy.” Studies in Conflict & Terrorism 34.2 (2011): 124-43. Raufer, Xavier. “Al Qaeda: A Different Diagnosis.” Studies in Conflict & Terrorism 26.6 (2003): 391-98. Sohlman, Eva. “Yemen Fractures on the Brink of Civil War as Al-Qaeda Gains Ground.” American Foreign Policy Interests 33.5 (2011): 236-40. Thomas, Timothy L. “Al Qaeda and the Internet: The Danger of “Cyberplanning”” Parameters 33 (2003): 112-23.